Transportation is the fastest-growing contributor to the greenhouse gases that cause climate change. Leave the car at home at least one day per week and be part of the solution. Every city has a metro guide to make it easy to find routes. For example, Los Angeles residents can plan their trip using Metro.net or the app Citymapper. Scientists have estimated that up to 40 percent of American food is wasted — which amounts to almost 1,400 calories per person every day. Food waste occupies a huge chunk of our landfills, adding methane to the atmosphere as it decomposes. Even more important, wasted food adds to the amount of food that needs to be produced, which is already a big part of our carbon load. Cattle produce a lot of methane. A single cow can emit as much methane in a year as a car burning 235 gallons of gasoline, according to the Washington Post. So many groups fighting climate change encourage people to eat less beef. For a list of yummy vegan restaurants in your city, visit happycow.com. That means plastic straws, utensils, plastic bottles, coffee lids...etc. Santa Monica-based Health the Bay says drink-related trash accounts for 36 percent of all trash it picks up at beaches countywide. We’re using so much plastic worldwide that a recent study found that plastics in the ocean will outweigh fish pound for pound in 2050, according to the Washington Post. 5). Donate your garden's surplus fruits and veggies. If your garden produces too much food for you to eat, don’t let the bounty go to waste. Check out companies like Food Forward or Ample Harvest which collect surplus fresh fruits and vegetables, breads, and nuts from farmers markets, parks, and backyards. Americans send 10.5 million tons of clothing to the landfill every year. Fashion is the second most polluting industry on the planet, right behind oil. Do yourself, your wallet, and the earth a favor by refusing to participate in the vicious cycle of fast fashion and disposable clothes. Instead buy quality items that are built to last from the many cool, up-and-coming sustainable brands that are using innovative, earth-friendly materials to help to offset the waste we, consumers, have already created. 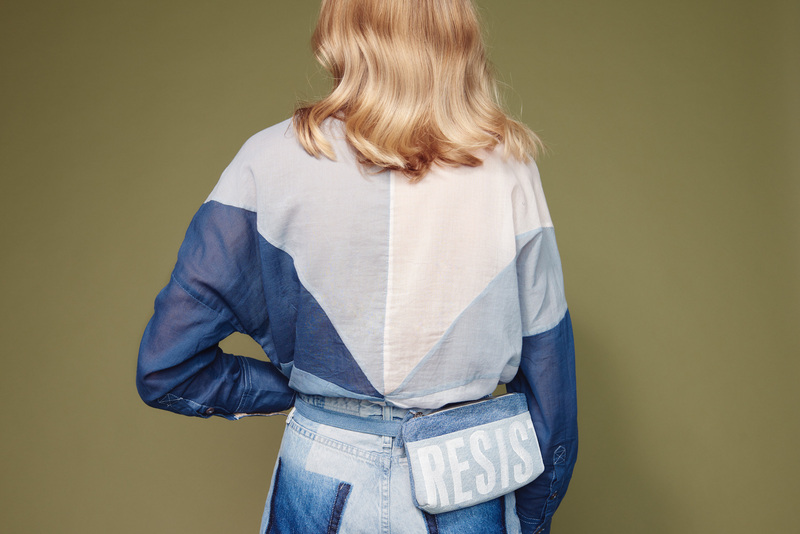 Giving small, sustainable brands* your dollar instead of fast fashion giants like H&M and Zara will not only go a lot further to boost your local economy, but it’ll also put less strain on our planet and your wardrobe won’t suffer, either. *A few of our favorites include Sotela, Bead & Reel, Nicora Shoes, Reformation, Rêve En Vert, YSTR Clothing, and RAFA Shoes.